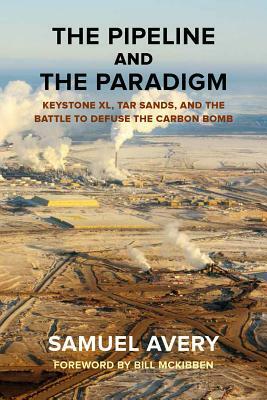 This thoroughly researched and wholly engaging book investigates the economic, ecological, political, and psychological issues behind the Keystone XL pipeline—a project so controversial it has inspired the largest expression of civil disobedience since the Civil Rights movement of the 1960s. With enough carbon trapped in the Canadian tar sands to plunge the Earth into irreversible climate change, it is the Keystone XL pipeline that will set that carbon free. The debate rages on over whether this 2,100-mile long steel pipeline is a vital piece America’s energy future or the conduit for global climate disaster. From the enormous tar sands mines in Alberta to a tree-top blockade in Texas, this book introduces the people and explores the competing interests that power the environmental issue of the current generation. Samuel Avery is a certified solar installer, longtime social activist, and trainer in nonviolent resistance techniques. He is the author of four books, including "The Buddha and the Quantum" and "The Globalist Papers." He lives in Louisville, Kentucky. Bill McKibben is an environmentalist, an activist, and the cofounder and chairman of the board of 350.org. He is the author of "Eaarth "and The" End of Nature." He lives in Vermont.